What is Dyneema? Dyneema rope is a brand name of synthetic rope that is made from Ultra High Molecular Weight Polyethylene (UHMWPE), which is the world's strongest fiber and gives it an ultra high breaking strength. How Strong is it? Dyneema rope is very strong. It is 20% stronger than wire rope of the same size and 7 times stronger than wire rope of the same weight. What about Abrasion? Dyneema has the highest abrasion resistance out of any synthetic rope in the industry and is widely used in Canada by trans-oceanic shipping companies for towing and mooring their massive container ships. In Saskatchewan and the prairies Dyneema rope is most often used on ATV winch cable, flat deck winch cable and tow trucks winch cable. Why does this matter? Northern Strands supplies tow ropes, ATV winch lines and other accessories made from Dyneema ropes for those occasions where you need the strongest rope available and don't want to lift a big heavy wire rope. 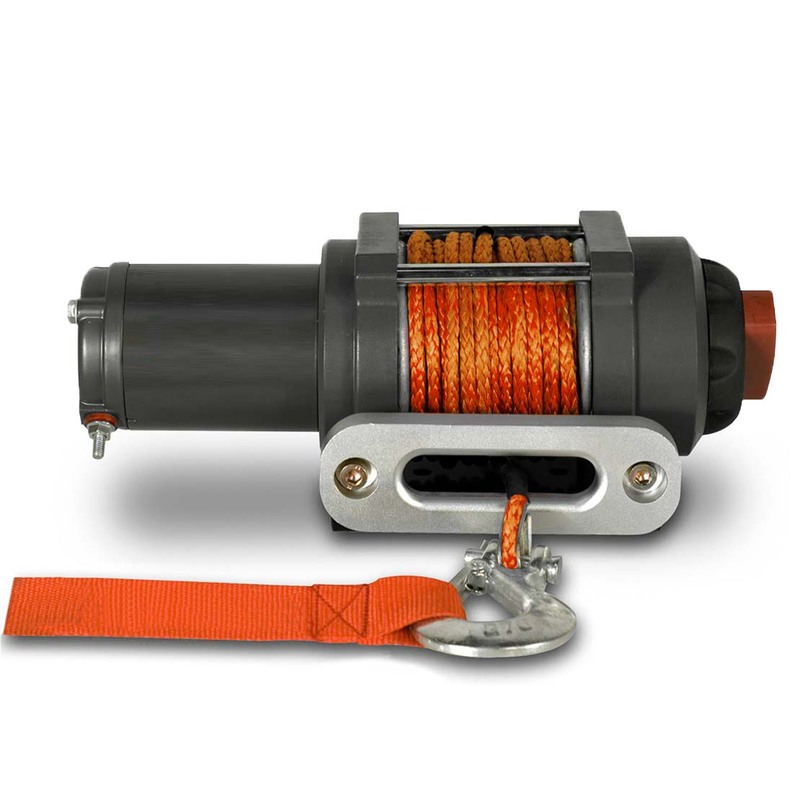 Northern Strands manufactures winch lines with hook made from Dyneema that make use of a standard eye hook for attaching to anchor points when a vehicle such as a ATV Quad or Side by Side gets stuck to the point where it needs to be winched out. The advantages of using Dyneema in these situations are huge as the rope is not only immensely strong. Incredibly light, Dyneema will float on water. Literally a rope, which means that it does not kink or tangle like wire rope does, especially on the smaller drums of a quad winch, and there is no risk of puncturing your skin from a broken wire. The same material used in the most ultra-modern body armour that is currently preferred to Kevlar as it performs the same wet or dry. Woven instead of wound; meaning that Dyneema rope is torque neutral, where wire rope will unwind when subjected to extreme loads.